(MCT)—Three years ago, my family and I drove overnight from Maine to New Jersey, trying to get home ahead of Hurricane Irene. 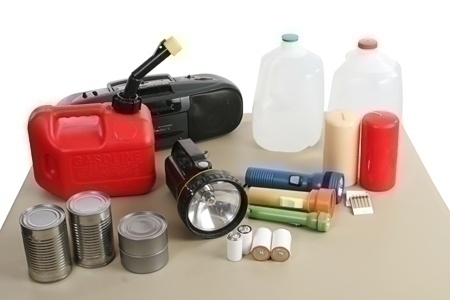 To start, put together an emergency kit and make a family communications plan. Know your surroundings. Learn the elevation level of your property and whether the land is flood-prone. That will help you know how your property might be affected should storm surges or tidal flooding occur. Learn community hurricane-evacuation routes and how to find higher ground. Determine where you would go and how you would get there if you needed to evacuate. Make plans to secure your property, starting with covering all your home’s windows. Permanent storm shutters offer the best protection. Another option is to board up windows with 5/8-inch exterior-grade or marine plywood, cut to fit and ready to install. Install straps or additional clips to fasten your roof securely to the frame structure. That will reduce roof damage. Be sure trees and shrubs around your home are well-trimmed so they are more wind-resistant. Plan to bring in all outdoor furniture, decorations, trash cans, and anything else that is not tied down. If you’re in a high-rise building when high winds are present, be prepared to take shelter on a lower floor — wind conditions increase with height — and in a small interior room without windows. If flooding is a possibility, be prepared to take shelter on a floor safely above the water and any wave effects. Considering what we endured last winter, and remembering what Sandy brought our way, better to be braced for the worst when we can.